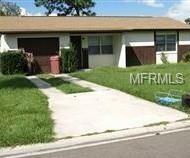 Beautiful 2 Bedroom, 1 Bathroom Single-Family Home. Home features tiles and laminate flooring throughout the unit, an open floor plan, and one car garage! The kitchen comes fully equipped with all basic appliances! Don't miss out!! To schedule your own private tour!